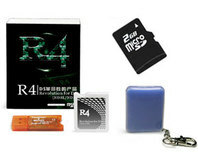 Nintendo has recruited a total of 54 other companies and is launching a new lawsuit against the makers and distributors of the R4 Revolution device for the Nintendo DS. 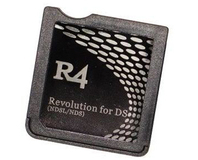 The R4 is essentially a firmware override and MicroSD adapter for the Nintendo DS. Using the device gamers can load custom software on the DS by loading them onto a MicroSD card. The R4 then bypasses the Nintendo firmware and loads a new custom version which allows access to the SD card. The R4 is typically used for running homebrew games made by bedroom coders, but can also be used to run pirated games and emulators - all of which Nintendo frown on. Nintendo's new lawsuit is aimed at stopping the manufacture and sales of the R4 and the court case is being supported by companies such as SNK, Capcom, Square Enix, Tecmo and The Pokemon Company. The new courtcase has been filed in the Tokyo District Court and is using the Unfair Competition Prevention Law as the legal grounding for the case, according to Kotaku. Have you used an R4 beforehand, or do you want to know more about the types of homebrew games and applications out there for the Nintendo DS? Well, if so then you can check our Guide to DS Homebrew article, or just let us know your thoughts in the forums.